See more objects with the tag personal, entertainment, music, minimalism, sleek, innovative. This is a Digital Media Player. It was designed by Apple Industrial Design Team and the design director was Jonathan Ive and manufactured by Apple Inc.. It is dated 2009 and we acquired it in 2010. Its medium is aluminum, glass, stainless steel. It is a part of the Product Design and Decorative Arts department. 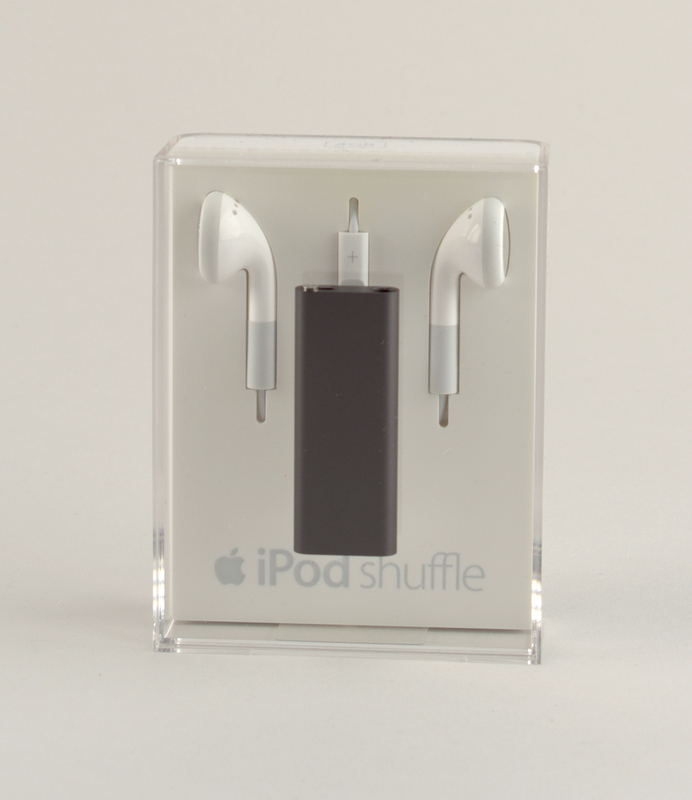 Apple’s iPod and its variants, including the Shuffle, are among the most influential personal appliances of the early 21st century. The iPod has brought cultural shifts in our relationship to music and communications in the 21st century. Innovative technology makes it possible to store, carry, and share music, pictures, video, and movies with these increasingly diminutive and powerful portable devices. 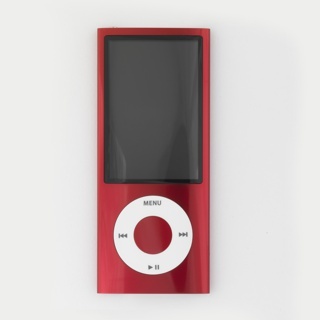 The iPod lineup is significant for its up-to-the-minute technology and increasing miniaturization. Multiple functions are integrated into models smaller than a deck of cards or a tube of lipstick. Furthermore, the devices connect technology with fashion via color: Apple has created a color spectrum for the Shuffle that reflects contemporary taste. Building on the iPod’s technology and success, Apple introduced the first of its smaller iterations, the iPod Mini, in 2004. The Mini featured a smaller, slimmer rectangular body that was enlivened by color (silver, pink, pale green, and blue). By 2005, however, Apple replaced the Mini with the Nano, available in only white or black, and launched the smallest iPod model, the Shuffle, about the size and shape of a pack of gum and offered only in white. The Shuffle was designed to be loaded with a selection of songs to be played in random order (i.e., shuffled), which eliminated the need for a display screen. Both the Nano and the Shuffle clearly echoed the original iPod form and minimal color scheme. The Shuffle has since evolved into a tiny, lozenge-shaped form of anodized aluminum, weighing less than half an ounce, that is available in a range of deep colors. It is almost as much a piece of decorative jewelry as it is an entertainment device. At the time of proposed acquisition, the museum has a number of Apple products in its collection. The exhibition, Design USA: Contemporary Innovation (2009–10), which celebrates the 10th anniversary of the National Design Awards, included the latest Nano and Shuffle to represent both Apple as the National Design Award (NDA) winner for Corporate Achievement in 2000, and Ive as the NDA winner for Product Design in 2007. Models in several colors are proposed for acquisition to show a range of consumer choices for these ubiquitous personal digital accessories. 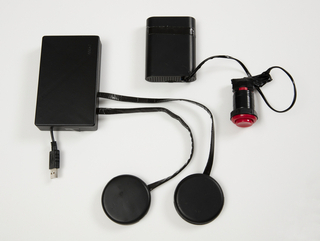 The iPod technology and Apple’s distinctive, universally recognizable designs make these portable media players important in the continuum of industrial design, a major category for the museum’s collection that includes audio recording and playback devices.